Many of you may have heard of being Assertive, especially during your trainings or may be someone had given you a feedback in the past that you must learn to be assertive. But in the process of becoming an Assertive without proper guidance and coaching we sometimes end up becoming more Rude and Rigid towards others and gain their thumbs down attitude and not a positive response. This is could be majorly because either you do not completely understand the meaning of being assertive or if you know maybe you are using it in a wrong manner by not identifying the fine line between being assertive and being rigid, which ultimately creates a negative impression of you. Many people I had come across in the past usually have difficulties saying No! Or expressing them positively this is because you are more concerned about what the other person will think about you if you say no or you may lose your job or friend, which comes out of an insecurity you are holding inside. Let’s first try to understand what is Assertiveness and after that we will put some light on how to apply the techniques practically in your daily life. “Assertiveness is basically sharing your needs, wants or feelings with respect and integrity for self and others yet treating others well the way you want others to treat you.” Further Assertiveness teaches you and allows you to have a control on your behavior by not being too aggressive, agitated, egoistic or over-emotional; you must avoid such behavior to control other people’s actions when you are dealing with them. This is the biggest challenge where most people fail when they see they cannot convince others to act the way they want. Assertiveness is not going to change you but help you learn important techniques and apply them in daily life to lead a happy, joyful, contented life with self and other around you without disrespecting others yet making them understand your priorities in a positive manner, hence, maintaining your own integrity and dignity. However, not everywhere and with everyone you need to be assertive, you will surely identify where to say no and where you can accept what is being offered to you be it work, invitation to a dinner or party or something you may not like to be a part of. So, basically you will be able to identify that fine line. Let’s discuss few traits below from which you can try to match the symptoms or expressions you often use to identify where do you fall in the below mentioned categories and if you are assertive or not? Do you most often avoid Conflict, have a fear of rejection, unable to share honest criticism, fear of becoming unloved and eventually you end up saying yes to the other person despite of having no Free Will Choice of your own in that matter? If your answer to this is ‘yes’, then, you are “Non-Assertive” because you often make other’s needs & priorities as your needs & priorities. Do you often end up conversations in conflicts/get aggressive while expressing your needs or become more controlling over the other to make them say and act the way you want? If your answer to this is ‘yes’, then, you are “Aggressive” because you are habitual of forcing the others to do what you want them to do by creating your fear or forceful value. You are not respecting their “Free Will Choice”. Do you believe in Win-Win Situations where while expressing your own needs, you are still open to others having their own needs and opinions too? You are open to accept their feedbacks and respect their free will choices too hence, choosing an option which will benefit both and serve the needs for both the parties. If your answer to this is ‘yes’, then, you are ‘Assertive’ because you not only know how to express your needs and priorities but you respect others choices and opinions too without hurting them in any way you are willing to reach to a resolution where both of you can be benefited by it. Being in assertive state not only helps you maintain good relations but also creates an influence and respect for you in others opinion. Sometimes, we often mistake between understanding our Rights and Belief Systems that we may have had been following since ages in our families or with people around. So, we have to learn differentiating between our Rights and what we believe to be a Right but it is actually not. Do you believe in being an Assertive? What I mean to ask here is do you believe in your abilities that you can or should become Assertive? I have asked this question here, because many out there do not even think they can or have the ability to become an assertive just because of the fear of rejection, or the way others have told them, or may be because of their mind being conditioned since childhood that being assertive is not good, it’s being selfish or rude etc. Take a piece of paper and a pen or pencil. Write down the question – Do I really have the right to become an assertive? Write down your answer and once you are done, read it and see what you have written. Is it a straight no or yes with various conditions and answers like my parents told me it’s being selfish or my friends told me it’s being rude or I think if I become an assertive people may not love me, accept me or would want to talk to me etc. Value and Love yourself – Let us re-analyze your answer now. Ask yourself, if you will fear the rejection or becoming unloved, will you be who you are? Will everyone ever know about the “Authentic You”? No! They will never be able to know the original or authentic you, the way you have been created or the way you must lead your life being unique. There is always a Law of Give And Receive and if by being non-assertive you continue to only give and never ask in return to respect your choices, opinions or understanding your preferences too then you are doing injustice to your own self and believe me no one person will come to you even to ask you if you need anything if you will not make your own self hold right kind of value for your own self & others. People will be able to recognize you, your potential, and your real nature only when you start respecting your own self without harming anyone. This first step always will come by identifying the need of self-love & care and priorities for your own self before for anyone else. Learn to Take a Stand for Yourself – You must learn to speak up for yourself and take a stand when you believe in your ideas, your emotions and things you really care about no matter if anyone else is supporting you or not. If it’s worth it, take a stand! Be a one man or woman army! Respect Others Rights too – While being assertive allows you to respect your own rights and needs, do not forget that others rights, opinions and ideas also hold equal importance so make sure you are not harming or ignoring others rights to fulfill yours. 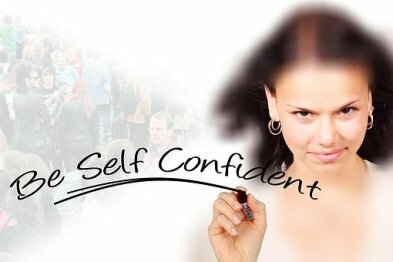 Be Confident with your choices and decisions – People often try to confuse you or manipulate your thoughts or confidence so, beware, always believe in yourself, your choices and decisions and be firm with them unless you believe it is not going to work, take a stand for your decisions too! When someone comes to you with problems, requests, advice or even feedback about you, you have the choice to accept it or not. Constructive feedback is always being appreciated as an opportunity to improve but if it is not at all acceptable then you always have the choice and right to reject it being assertive. If you think it is not good enough to interfere in someone else’s decisions and life, then, say No! Remember your boundaries where to step in and where to avoid harming someone’s privacy. No one would know you better than you yourself, so, if someone is constantly trying to make you believe you are not worth it or you are dumb or you can’t do it, or you may fail, take a stand, stick with your firm decision to go ahead with your idea and courage, yes be courageous too, it will help you take a stand for yourself. I Condemn to Copy someone’s Work, Do you? Apart from being a Training Consultant, Content Developer, Web Content Writer, Blogger, Public Speaker and she is a Holistic Practitioner & Teacher too.